Education and background: Bachelor’s degree from Bennington College; bachelor’s degree from Columbia University; M.P.A. from Harvard University, John F. Kennedy School of Government. Served as a member of the New York City Council for 12 years. Began her career with the New York State Lieutenant Governor’s Office. Served as chief of staff to Council member Ruth Messinger, as director of the New York City Office of Federal Relations and executive director of the Mayor’s Commission on the Status of Women during the administration of Mayor David Dinkins, and as NYC Deputy Public Advocate under Mark Green. Elected Borough President in 2013. 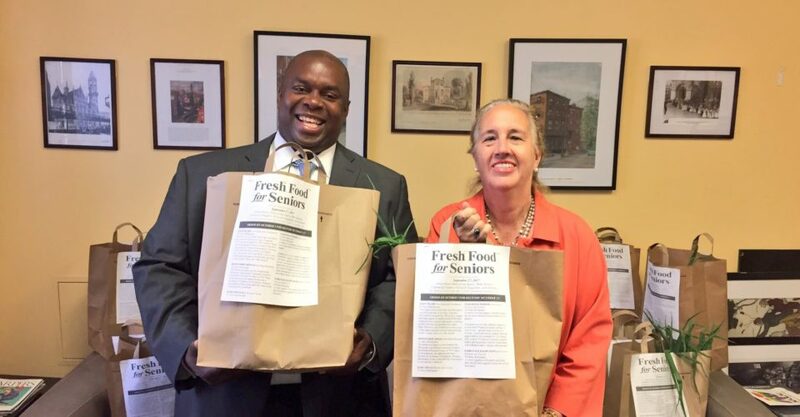 What she’s doing to advance food policy: Launched the Fresh Food for Seniors Program in 2012, providing regionally grown, seasonal vegetables and fruits at a discounted price throughout the summer and fall. During the 2018 season, the program has delivered close to 5,500 bags worth more than $44,000, to seniors in the Upper West Side, Hell’s Kitchen, the West Village, Chelsea, Roosevelt Island and Northern Manhattan. Issued the report, “Manhattan Supermarkets: How to Keep Them Alive,” with policy recommendations to stem the tide of supermarket closures, as well as the Age-Friendly Supermarket Guide, a census of senior-friendly features at 229 Manhattan supermarkets (including wheelchair accessibility, restroom availability, delivery costs and any available senior discounts). 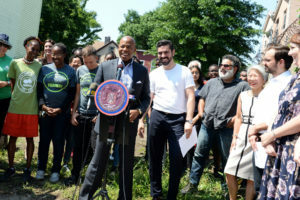 Sponsored Local Law 50 of 2011 to amend the administrative code in relation to the city’s purchase of New York state food with the goal of increasing the use of locally grown and regionally processed foods in New York City as part of the Speaker’s FoodWorks Initiative. What she enjoys outside of Borough Hall: Volunteers at at Holy Apostles Soup Kitchen in Chelsea. Tries to mentor younger generations; teaches public policy at Hunter College, and her office has dozens of interns at any one time.